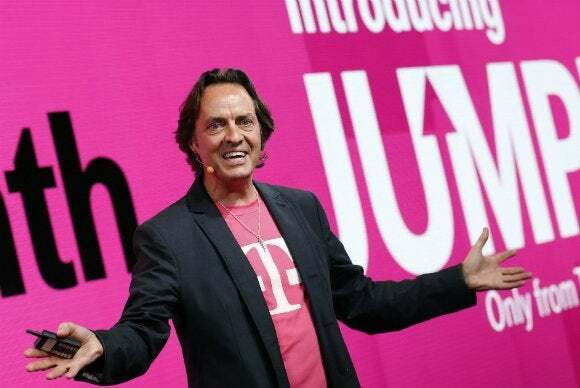 T-Mobile’s CEO says he’s confident that upcoming net neutrality rules won’t mean an end to the carrier’s “Music Freedom” promotion that allows unrestricted music streaming from certain sites. The rules, which were recently approved by the Federal Communications Commission but are not yet law, prohibit Internet providers from selectively blocking or slowing Web traffic and from offering paid traffic prioritization services. They’ve been opposed by Republican lawmakers and major telecommunications companies. John Legere said he’s still combing through the 400-page regulation, which the FCC passed after an unprecedented 4 million [m] public comments, but he doesn’t believe the service will be affected. “I’m fairly confident that everything we are doing, including Music Freedom will be allowed,” he said at a news conference on Wednesday, held to announce new price plans for business users. “I’ve been spending a lot of time in Washington on the combination of net neutrality, broadcast auctions, industry structure, and it’s kind of a combination of things. I have enough assurances that the way we run our business is acceptable in the scope of what’s staking place,” he said. Music Freedom currently covers 30 services and means all data streamed from the sites doesn’t count against the user’s data allowance. Sites include Pandora, iHeart Radio, Spotify, Google Music, iTunes Radio and Rhapsody. The net neutrality rules are designed to prohibit preferential treatment of data traffic that might give one site an advantage over another. Some opponents say the rules shouldn’t cover wireless carriers as they are operating in limited spectrum and need tools to ensure efficient handling of traffic. On Tuesday, lawmakers grilled FCC Chairman Tom Wheeler about whether the White House improperly influenced the new rules.